I originally wrote this for Relson Gracie New York Academy. The phrase, nothing comes from nothing, is first attributed to the ancient Greek philosopher Parmenides. In it, it argued that the universe could not have come from nothingness, something must have been there. In turn, it also argues that things, humans, don’t just vanish into nothingness upon death. not all things follow this rule. Most relevantly to us, lately a few articles in the world of sports writing have begun to debunk the myth of the 10,000 hour rule. Most famously perpetuated by Malcolm Gladwell in Outliers, it stated that mastery was the result of pure hours put into practice. Psychologists, after seeing the popularization of the myth, began to publish peer-reviewed studies showing that Gladwell “kinda” got it wrong. The recently published book, The Sports Gene, by David Epstein, has provided the most comprehensive review of studies that modify our understanding of practice. First, 10,000 hours is an average. So, where for one person doing an activity like jiu-jitsu might take 3,000 hours to master, for another it might take 17,000 hours. Second, the key to this rule, or the rule to the rule, is that the practice must be “deliberate” on two levels: one the physical, the other the cognitive. What separates the 3,000 hour person from the 17,000 hour person is the way they practice. The 3,000 hour person is cognitively engaged in their practice, both on and off the mat. Our minds must be cognitively practicing, too. 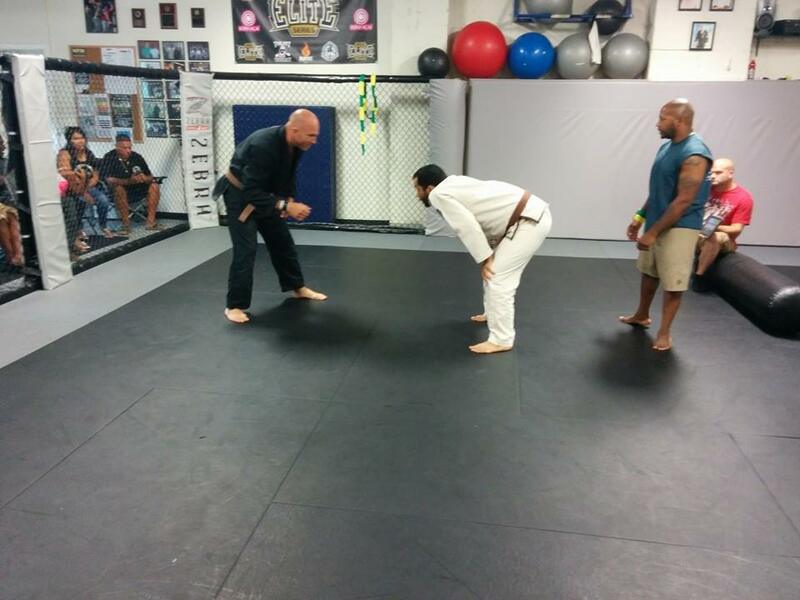 On the mat, I found John-Michael Kaleikini’s Invisible Jiu-Jitsu seminar in late April to be a prime example of deliberate practice in jiu-jitsu. Apart from the genius of Rickson’s insights and slight “invisible” readjustments to our known techniques, it is the precise fact that, because the techniques are “slight” and “invisible” (a shoulder shrug here, a step back there), the techniques force us to engage with jiu-jitsu in a cognitively heightened way. We have to be paying very close attention to engage in this small detail practice. As many of us attend a seminar this weekend, let’s pay attention in a cognitively heightened way and get the most out of our training. After all, if you put nothing cognitively into it, not as much will come out of it while rolling.